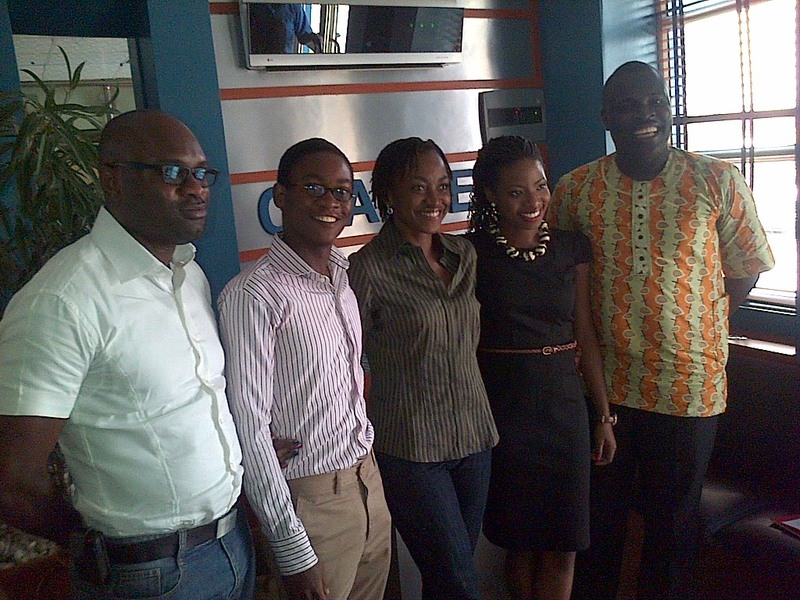 L-R: Ejiro Otiotio, Bukola Ogunyemi, Kate Henshaw, LEAP Africa Program Director, and Chude Jideonwo. This week’s issue on Rubbin’ Minds seeks to bring to light the issues surrounding the news that over 13,000 graduates applied to become a truck driver for Dangote Industries. Arguments have gone for, and against the demand for graduates to serve as drivers in the company but others have referred to the phenomenon as a sad commentary on the unemployment situation of Nigeria calling on the Federal Government to go beyond rhetoric and actually do something concrete to create jobs. On the programme this week, we have Chude Jideonwo as the anchor with Ejiro Otiotio, Joachim McEbong, and Bukola Ogunyemi as guests. Ogunyemi was wholly in support of the Dangote Drivers initiative which seeks to empower employees by given them an opportunity to own the trucks after a certain level of mileage. The programme saw the introduction of an entertainment section which featured ageless actress and judge on the Nigeria’s Got Talent reality show, Kate Henshaw. Henshaw said her experience so far in the reality show has been nothing but exciting. She said the show has been an “emotional journey”. “I want to believe that I’m giving someone a chance… it’s part of helping someone out,” she said. Join us next week for an equally exciting episode of Rubbin’ Minds when another topical issue will be discussed.